Take one of 2016’s best board games, add a parent’s love for his daughter, and what you get is My Little Scythe. 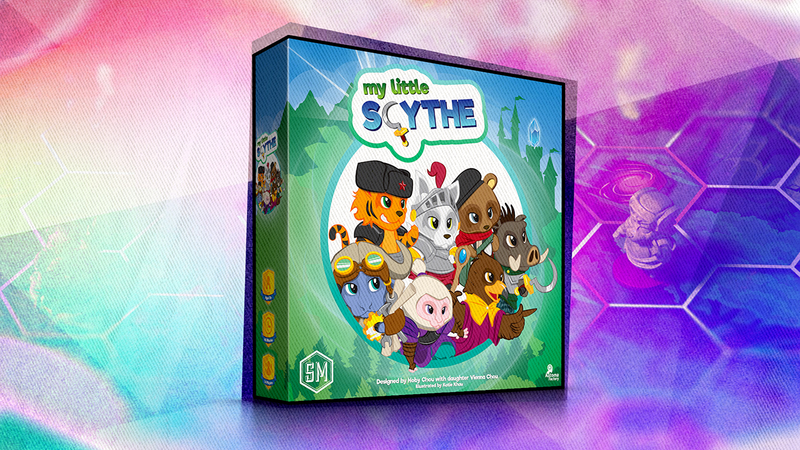 Based on Stonemeier Games’ award-winning Scythe, My Little Scythe boils down a complex game, reskins it with adorable animals, and respects its audience by creating meaningful decisions that little ones can understand. Our board game cabinets are filled with games I want to play with our kids. This one requires too much reading. That one probably demands more strategy than they can handle. And that one? They aren’t ready for elder gods and ritual sacrifice. One of those “one day” games is Scythe. It’s a complex game involving worker placement and meaningful decisions about how you’ll find your way to victory. Scythe is not an easy game to learn for nascent players. It’s not that any one mechanic is complicated, it’s just that there’s a lot going on. 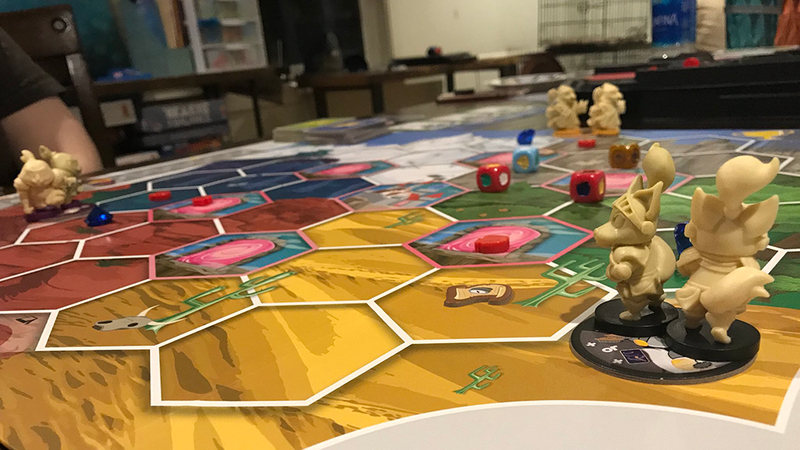 The core of the game is entirely accessible, and that’s what prompted Vienna Chou and her father Hoby to create My Little Scythe. You can see Vienna explain the game in the video below. The fan modification caught the eye of Scythe designer Jamey Stegmeier, who worked with the Chous to create an official version. While it doesn’t have My Little Pony characters (Hasbro owns that property and licensing would likely be exorbitant), it does retain the friendly, helpful nature Vienna and Hoby envisioned. What age group is My Little Scythe appropriate for? While My Little Scythe is recommended for ages eight and up, you can safely push that down to five or six if your child is familiar with board games. Our five year old doesn’t often win, but she understands the core concepts and loves playing regardless. We’ve played a number of times, and it’s enjoyable for the adults at the table, also. It plays quickly (typically less than an hour, even with high player counts). My Little Scythe puts each player in control of two “seekers." On any turn, you can choose one of three upgradeable actions: move, seek (add resources to the board), or make (use resources your seekers control to create magic spells, pies, or basic action power-ups). The goal of the game is to earn four of eight possible trophies before any other players. These include raising your friendship to a high level (by helping other players), boosting your pie stock (used to have food fights with other players), upgrading your basic actions twice, having a pie fight, and more. Should you decide to seek on your turn, you’ll roll dice and place gems and apples on spots that match the colors that come up. If you happen to place one on a spot controlled by another player, you’ll earn a friendship point. Quest tokens allow players to draw cards that test your kindness, often giving you three options: help, harm, or decline the quest entirely. These will often be choices between earning friendship or resources. You won’t be able to accomplish everything, so getting a sense of which trophies are easiest to obtain will speed you to victory. For instance, you can get the trophy for having a pie fight, but chances are you’ll have to sacrifice some of your precious pies or a magic spell card (that boosts your fight power). This makes it harder to get the trophies for having eight pies or three magic spells in your supply. Fighting also costs friendship, pushing you further away from that trophy. My Little Scythe is a game of balance. The strategic elements are light enough that kids can see the path to victory, but not so simplistic that parents will get bored. My Little Scythe is more complicated than many of the “kids” games found in the board game aisle at Target. It’s also more rewarding than nearly any other game intended for children I’ve played. It doesn’t feature the oppressive randomness of Chutes & Ladders or Candy Land. There’s only so much Memory you can play before you realize you’ve lost a step in your old age (maybe that’s just me). 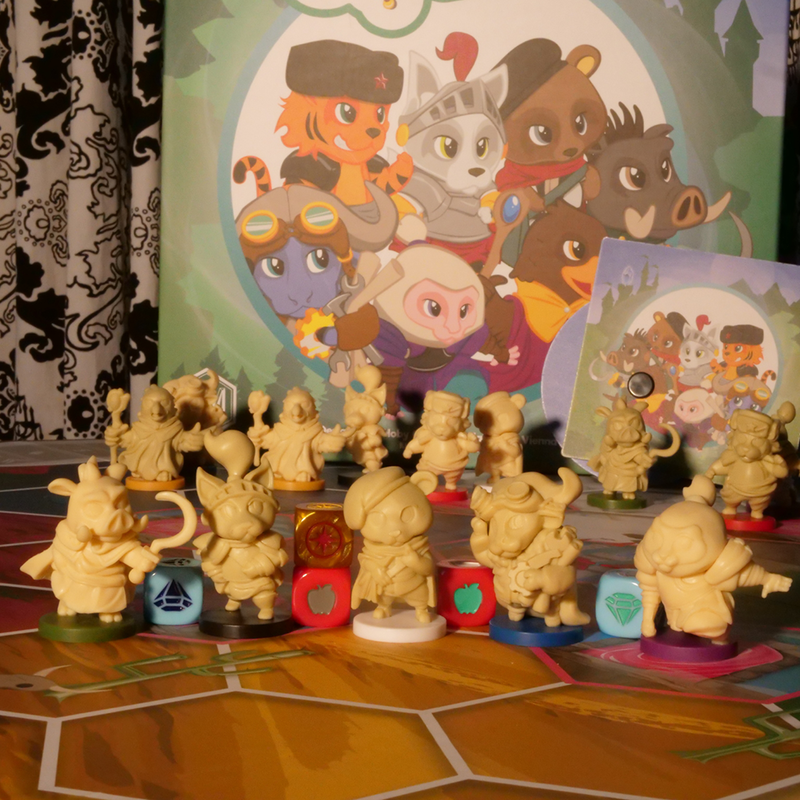 My Little Scythe is a warm, welcoming, competitive game that emphasizes the moments in which players help one another. It gently drives home the concepts of opportunity cost and consequences. It’s a good conversation starter for light touch moral conversations with young ones. Vienna and Hoby Chou’s work and Jamey Stegmeier’s openness to folding it in should be commended. There are few games that make me feel as good as My Little Scythe (both from a business perspective and as a lover of tabletop games). It belongs in your collection.